Your decision to select the right company for your project is important, for you and for Caveman Home Theaters. We understand and can appreciate how difficult many of the options are that you have today. While you are considering hiring a professional electronics service company, we think you should know a little about their policies and guarantees. We appreciate and value the opportunity to serve and support the families and businesses that chose Caveman Home Theaters. 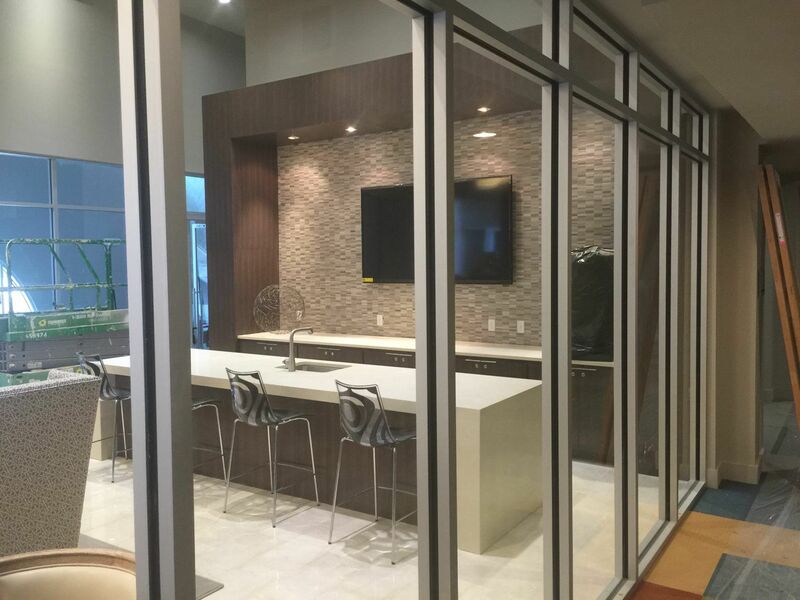 Our desire to exceed your expectations can only be realized when we are selected to be your provider for all of your audio/video electronics – and home theater projects. We have listed 12 additional reasons why you should select us to be your electronics systems provider. 2. Optional – Three year extended warranty on all HDTVs and Home Theater Systems. Caveman Home Theaters, makes every effort to provide the newest, the best in electronics. We shop and compile our project proposals reflecting materials, installation, delivery and training as part of every system that we specify. We understand the competitive nature of “lets say TV’s” and make it our policy to include them as options. On new products we do very well competing with the big box stores. But volume buying and aggressive sales have benefits. If you find a lower price before buying, let us know and we will do our best to match or beat the price from a local supplier. Our policy is that we will not attempt to match internet websites, super sales and or discontinued merchandise blowouts. Caveman Home Theaters has contracted with a local dedicated service facility. Their computerized repair department handles more than 100 brands of equipment. With a combined experience level of more than 50 years in sophisticated electronics, and a huge parts inventory, you can get your component repaired quickly. Caveman Home Theaters is dedicated to providing you the very best in home service, before, during and after the sale. That is why we include a full two year installation warranty on all electronics systems installed. We like lemons in our iced tea, we don’t like faulty equipment any more than you do. If a product we supply requires service within the first 30 days we’ll replace it, provided you kept the original packaging. (Ask about our extended warranty policy) Any service after the first 30 days requires professional service from an authorized service center. Our installation warranty includes system troubleshooting and diagnosis for 2 years after the project has been completed and final payments are received. In most cases the product manufacture does not include removal, shipping – delivery or re-installation. Our installation warranty does not cover these unless we have improperly installed or damaged the unit. If you buy floor standing and bookshelf speakers from us you have the option within the first year to upgrade, we’ll give you 70 percent of your original purchase price as credit toward the purchase price of a new pair. Your trade-in speakers must be in like-new condition with their original boxes, We can offer up to 50 percent without the boxes, The Key to our trade up program is that the new speakers purchased must cost at least twice as much as your old speakers. 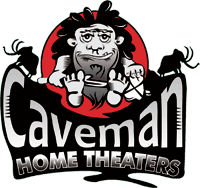 Caveman Home Theaters makes the purchasing decision fun and easy. Host a friends and family event to promote the completion of your electronics home systems and allow us to sponsor the event. Any new business generated by your event are rewarded with gift cards, movie tickets, in store credit and more. For details contact a member of your design team for more information. In an effort to encourage responsible recycling, hauling away your old TV is an option. We can remove and haul off your old electronics for $ 75.00 per trip. 12. Have your questions answered by a professionally trained electronics systems specialist. Ever been frustrated with the lack of knowledge displayed at the big box stores? Our design team receives rigorous training and they are all A/V enthusiasts themselves, so they live and breathe this stuff!